Generate output at the device using a USB memory or SD card for incredible convenience and flexibility. Users can insert the card into a slot on the operation panel to begin printing in seconds-no computer is necessary. Assign functions and preferences with five, one-touch function keys for more effective workflow. Stop unauthorized duplication of sensitive documents with Unauthorized Copy Control-a critical feature for workgroups that regularly handle sensitive data. 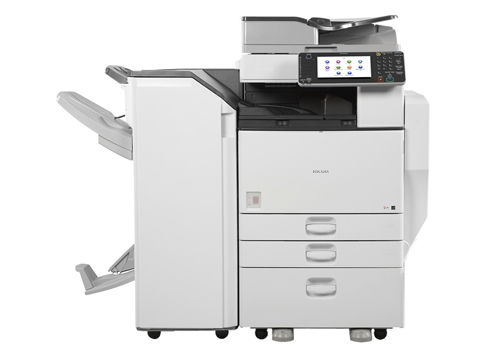 Mobile users now have the ability to print documents directly from their iOS device to their Ricoh MFP using the RICOH Smart Device Print App. 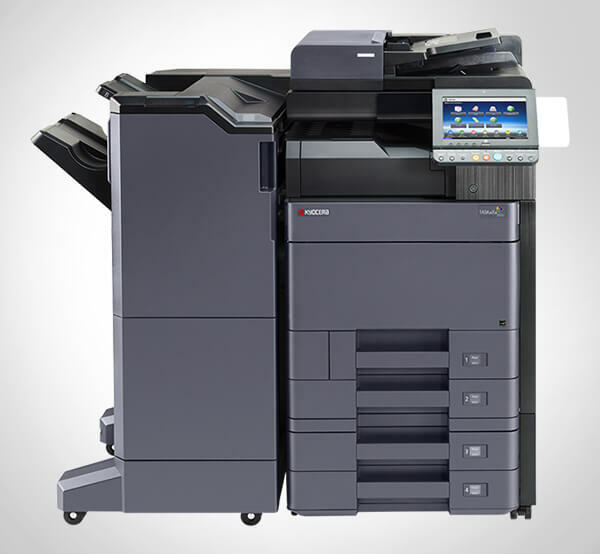 The RICOH Smart Device Print App supports common formats such as PDF, iWork and MS Office files. The App also allows users to choose the Locked Print feature for added security, as well as make selections for paper size, paper type and duplex. Scan full-color or black-and-white originals and share them instantly with Scan-to-Email/Folder/HDD. Distribute documents directly to e-mail addresses and eliminate longdistance costs with Internet Fax capabilities. Forward inbound faxes to e-mail addresses, network folders or the system's optional HDD for easy, fast and free paperless faxing. Secure and destroy latent images and data from the system's internal optional HDD with the standard DataOverwriteSecurity System (DOSS).